The most magical holiday is almost upon us! I absolutely love Christmas, but it can be an overwhelming time. Don’t fret, you can still stay on track and organized this Christmas with a bullet journal. Since you are in charge of designing your bullet journal, you can get as in-depth as you want. Then, after the season is over, you can turn your bullet journal into a memorable scrapbook. To help you get started, check out these ideas for creating the ultimate bullet journal. Shout out to Buzzfeed for some of these ideas! 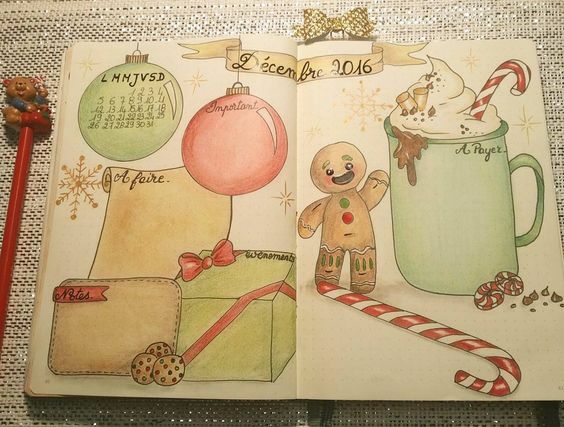 The holidays give us many different themes to choose from for your bullet journal. The great thing is you can do a variety of different themes and change it up each page. 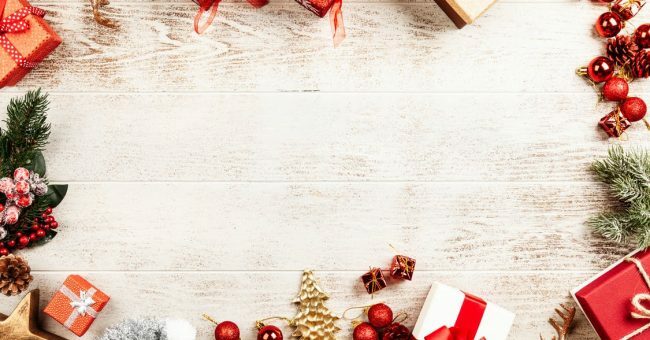 From gingerbreadmen, snowflakes, ornaments, trees, garland and presents to stockings, candy cane, Santa, reindeer, snowmen and other fun winter characters, the options are endless. 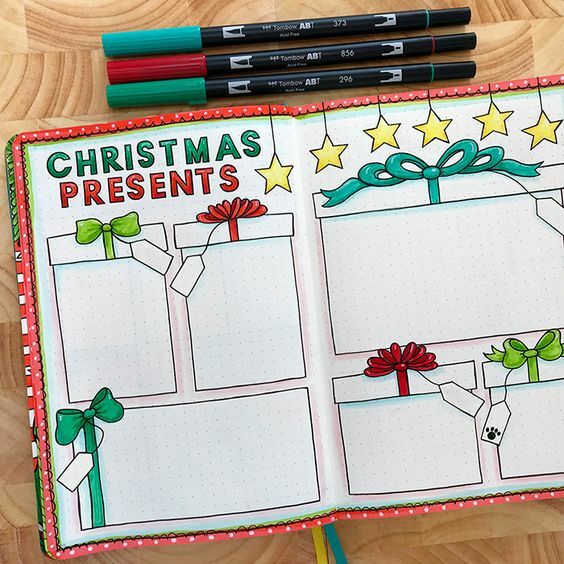 There are so many fun ways to decorate your bullet journal and get in the holiday spirit. You can find many doodles online and on Pinterest. Don’t forget to also use stamps, stickers, washi tape and feel free to use as much glitter and sparkles as you want, it is Christmas after all! Just like with Christmas gifts, you can have a few different lists for Christmas cards! Traveling can be stressful, especially around the holidays. But if you are like me, you have no choice but to travel to spend the holidays with your family Use your bullet journal to help you get ready for your trips! Create a list of things that you need to pack, what the weather will be like where you are going, a list of different outfits, your itinerary and a calendar of events. The holiday season can go by fast, so I like to use my bullet journal as a little reminder to make time to experience all my favorite seasonal things! Here are some of the lists I include in the favorites section. 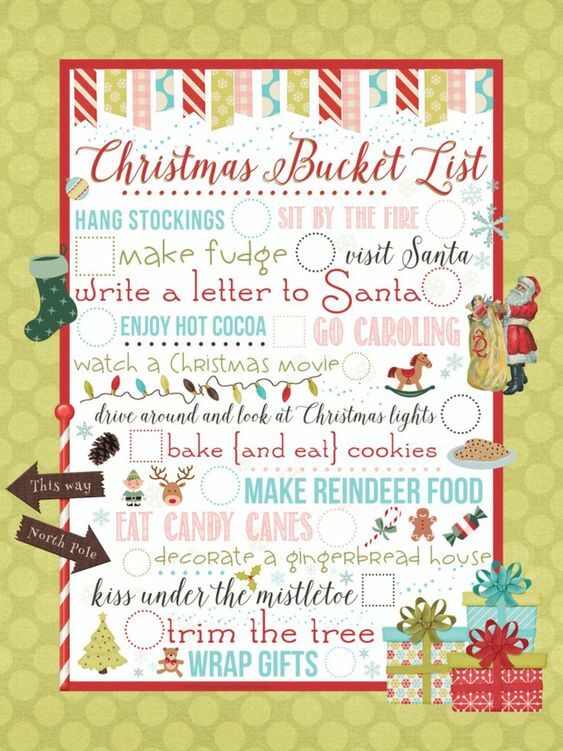 Similar to what you did with your list of favorites, make a bucket list of things you want to experience this Christmas. Your bucket list could include things such as sledding, drinking hot chocolate, visiting Santa and having a snowball fight. 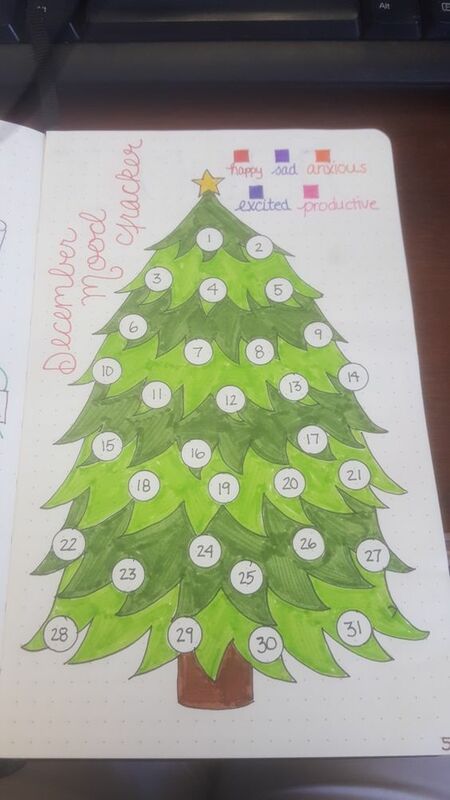 You probably did something like this in your winter bullet journal as well. Use your bullet journal to keep track of your favorite traditions. This makes for a great reminder so that you don’t miss out on anything this year. Some of my traditions include making Christmas cookies, driving around the neighborhood on Christmas Eve to look at Christmas lights and watching A Christmas Story on Christmas day. I usually go all out and decorate my entire place each year. A bullet journal helps me keep track of my Christmas décor and helps me plan where I am going to display all my festive decorations! For other ideas, check out Sublime Reflection. Christmas Eve and Christmas day are usually very busy days for my family. A bullet journal helps me keep track of our activities, the guest list, the dinner menu and more! Bullet Journal Addict has some great ideas on party planning! While keeping up on your bullet journal, make sure you are keeping track of memories and special moments, even adding in photos. This way, you can turn your bullet journal into a scrapbook. Instead of throwing it away after the season is over, you can use it to keep memories and look back on year from year.